You may not have heard about cassia oil, unless you are familiar with the East Asian culinary spice. Cassia is a staple in traditional Chinese medicine and closely related to cinnamon. It's commonly found in Indian and Chinese culinary dishes. The oil boasts a spicy aroma that is warm and inviting. Adding this oil to your home may help promote a healthy immune system and eliminate pests. What Is Cassia Essential Oil? Cassia oil is steam distilled from the bark plant part of the Chinese cassia tree known by the botanical name Cinnamomum cassia. The tree is commonly called Chinese cassia and Chinese cinnamon. This evergreen tree is native to southern China although it can be found across eastern Asia including in Indonesia, India, Taiwan, and Vietnam. The cassia tree is part of the Lauraceae family and is closely related to true cinnamon and Ceylon cinnamon. Cassia oil can be derived from several varieties of the cassia, but the most commonly sold variety in the United states comes from the Chinese evergreen tree. Cassia oil is extracted from the Cassia bark of the Chinese or Indian varieties using an extraction method known as steam distillation. The bark is subjected to high heat and moisture which draws out the oils. Special cooling pipes and drums help to separate the oil from water, resulting in pure cassia oil. Cassia oil is derived from the same tree bark as cassia spice. As a result, this oil boasts a warm, spicy aroma that is similar to cinnamon bark oil. The main constituents of cassia oil are cinnamic aldehyde and cinnamyl acetate. The warm, uplifting aroma blends well with other tree oils such as sandalwood, cedarwood, and tea tree oil. This oil blends well with citrus oils as well including lemon oil and bergamot oil. The spicy aroma may help promote healthy digestion and improve mood. Cassia oil boasts anti-inflammatory properties that can help alleviate pain and increase blood circulation. The main chemical component behind this health benefit is cinnamaldehyde. A study published by the Journal of Advanced Pharmaceutical Technology and Research found that cassia oil decreased inflammatory enzymes. Inflammation is one of the leading drivers of chronic diseases and oxidative stress. Oxidative stress has been linked to premature aging and other breakdowns in cellular processes that can cause neurological diseases and cancer. Decreasing inflammation helps improve overall health. Cassia oil's anti-inflammatory properties can help soothe sore muscles and achy joints. The oil produces a natural warming effect that helps to soothe pain points and induce relaxation. Make your own massage oil using a 4 ounce bottle. Add 2 drops cassia oil, 5 drops peppermint oil, 10 drops helichrysum oil, and 5 drops black pepper oil. Fill the container with carrier oil such as jojoba or olive oil. Rub gently into sore muscles and joints using a firm circular motion. Cassia oil may help support healthy immune function thanks to its antimicrobial properties. Chinese cassia is well-known in Chinese herbal medicine due to its ability to provide immune support. 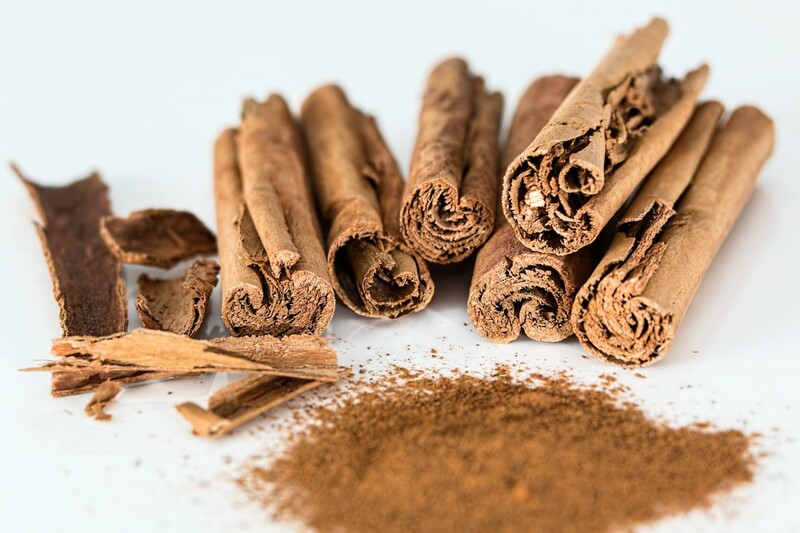 A study published in the American Journal of Chinese Medicine found that the main constituent of cassia—cinnamaldehyde—effectively inhibits the growth of gram-positive and gram-negative bacteria. Researchers found that cassia oil inhibited the growth of bacteria including staphylococcus, salmonella, and four species of candida. A second study published in Food Control examined the effects of cassia oil on E. coli bacteria. Researchers focused on the CDC's top 6 non-O157 E. coli bacteria. Results showed that cassia oil killed all of the top 6 E. coli bacteria and concluded that the oil is an effective antimicrobial for the food industry. The best part of using cassia oil to clean your home is that it smells delightful while eliminating harmful pathogens. Add 15 to 15 drops of cassia essential oil to a large spray bottle. Fill the remainder of the bottle using equal parts distilled water and white vinegar. Spray countertops and other hard, non-porous surfaces with the cassia oil cleaner. Let the mixture sit for 15 minutes before wiping clean. Cassia oil has mild insecticidal properties that may help eliminate certain types of bugs. One study published in the Tropical Journal of Pharmaceutical Research examined the effects of cassia oil on booklice. Booklice are tiny insects often found in old books, under stones, and on bark. They feed on starchy materials sued to bind books together as well as on mold and decaying materials such as rotting plants. These creatures are harmless, but can be aggravating when they invade your library or the wallpaper in your home. Researchers found that one of the main constituents in cassia oil—trans-cinnamaldehyde—was effective against booklice. The results showed that cassia oil was an effective fumigant in the air as well as when applied directly to infested regions. The scientists concluded that cassia oil possesses the potential for use in natural fumigants for booklice. Another study published in Pest Management Science examined the effect of cassia oil on mosquitoes that spread yellow fever. Researchers compared cassia oil, cassia cream, and E-cinnamaldehyde to two commercial repellents containing DEET. Results showed that E-cinnamaldehyde provided 93% protection compared to 89% protection from DEET after 40 minutes of application. In an indoor test with 4 human volunteers, the cassia oil provided 94% protection at 30 minutes, 83% at 50 minutes, and 61% at 70 minutes after application. The DEET repellents were 91% effective after 120 minutes of application. Cassia oil may be a good insect repellent for short-term exposure or when applied repeatedly. To prevent booklice from taking root in your home, diffuse cassia oil for 30 to 60 minutes once or twice a day in an ultrasonic diffuser. Diffusing cassia oil amy also help prevent mosquitoes from invading your backyard barbecue. Remember that cassia oil loses its mosquito-fighting properties more quickly than DEET, so apply or diffuse often. If you find booklice on your favorite novel, simply rub the oil directly on the spine and between pages to kill the invaders. The scent of cassia oil is deliciously spicy yet subtly sweet. It invokes a warming quality that can help reduce stress and improve mood. The warm aroma also invokes feelings of coziness and relaxation. The spicy aroma can also be used to scent your home and create an inviting atmosphere. Infuse your home with the warm, spiced fragrance of cassia oil by adding 3 drops to an ultrasonic or humidifying diffuser. Alternatively, fill a small sachet with dried flower petals and add two drops of cassia oil. Place inside sock and underwear drawers or beneath pillows to keep every space in your home smelling good. Cassia oil may help lower blood sugar levels and assist in the treatment of diabetes. People who suffer from diabetes have high blood sugar levels that last for a prolonged period of time. This imbalance results in a host of symptoms including irritation in the urinary tract, increased thirst, and increased hunger. Serious long-term complications of diabetes include cardiovascular disease, kidney disease, and stroke. A study published in Clinical and Experimental Pharmacology and Physiology examined the use of cassia in experimental diabetes. The study used cassia extract on diabetic rats for 30 days. Results showed that cassia extract decreased blood sugar levels and increased plasma insulin levels. A second study published in the Journal of Medicinal Food examined the use of a cassia fiber supplement on 15 diabetic humans. The participants took one pack of supplements or a placebo two times per day for 2 months. Results showed that the group that took cassia supplements had lower triglyceride levels. The sample sizes of these studies are small and more research is needed for conclusive results. Cassia oil is safe when used in accordance to suggested uses. Cassia oil has a shelf life of 2 to 3 years. As with all oils, there are a few things to keep in mind when using cassia bark oil. Cassia oil may cause skin irritation in certain individuals. Conduct a small patch test on your skin before applying liberally. Avoid using this oil if you are sensitive to the chemical coumarin or cinnamon in general. Always apply cassia oil using carrier oil such as coconut oil or rosehip oil. Keep the oil away from sensitive mucous membranes including your eyes, nose, and mouth. Don't use cassia oil on open wounds or abrasions to prevent stinging and irritation. Consult your physician before using cassia oil. This essential oil may reduce milk secretion and is not recommended for women who are nursing. Don't apply the oil to infants or young children as their immune systems are more sensitive and can react differently than adults. The Food and Drug Administration has classified Chinese cassia bark as generally safe for consumption. However, the FDA has not rated any specific cassia essential oils safe for internal use. Only take essential oils orally under the supervision of a licensed aromatherapist or a physician. Ingesting large amounts of this oil can result in uterine hemorrhaging, diarrhea episodes, and other severe side effects. Essential oils are highly concentrated forms of the plants, herbs, and trees they are derived from. Only consume in tiny amounts, such as 1 drop in a veggie capsule or 8-ounce glass of water, if prescribed by a doctor or aromatherapist. The spicy, cinnamon-like scent of cassia oil can help improve mood and relaxation. Its warming nature alleviates pain and inflammation when applied as a massage oil. This essential oil has also demonstrated antibacterial, antimicrobial, and insecticidal properties that can keep your home clean and free from pests. Add cassia oil to your collection for a holiday-inspired scent that keeps your cozy all year long.